The update is focused on some new stealth mechanics and some minor changes to how stealth works. Full patch notes with bug fixes and tweaks etc will be posted on the last day before the update goes live. We also want to give a huge thanks to the community members who helped out with the testing, as well as the competition winners that got to try an early beta version, and gave us some feedback. Welcome to the day 1 reveal of Update 19! The Decoy coin can be equipped in the grenade slot, and the player will start with 15 of them in the inventory. They can be replenished by picking up the grenade pickups from dead enemies, or crates around the levels. 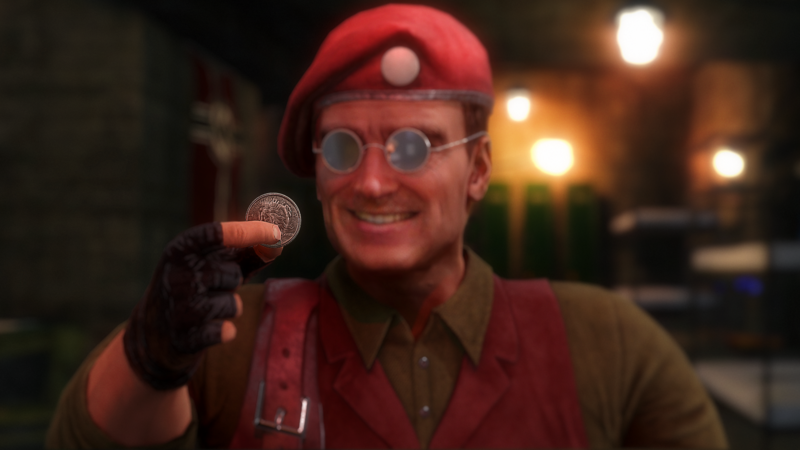 The coin is used to distract enemies, and if used correctly ( Thrown in a place that a guard can reach ) an enemy will hear the coin hit the ground and walk over to the location to inspect. This gives you the time to sneak around them. The coin can also be used to lure enemies into less visible areas for easier kill targets, where another enemy has less chance to see the dead body. How will you use it? what crazy tactics will you come up with using these? Make sure to tell us on the forums when you do something cool!